Relation between A.M., G.M. and H.M. Note that these means are in G.P. Hence AM.GM.HM follows the rules of G.P. i.e. G.M. =√A.M. × H.M.
All sequences of numbers cannot be put into A.P./G.P./H.P. Let us study these. 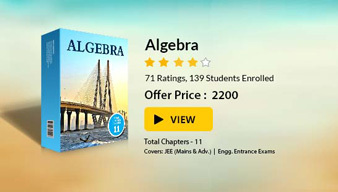 To read more, Buy study materials of Sequences and Series comprising study notes, revision notes, video lectures, previous year solved questions etc. Also browse for more study materials on Mathematics here. Relationship Between A.M. and G.M.